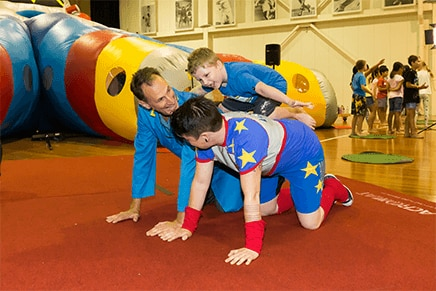 As part of the Doing Good program, The Good Guys Super Hero Academy ran from 2015 – 2017, and was aimed at improving the mental and physical wellbeing of primary school aged children by empowering them to discover their inner Super Hero strengths! 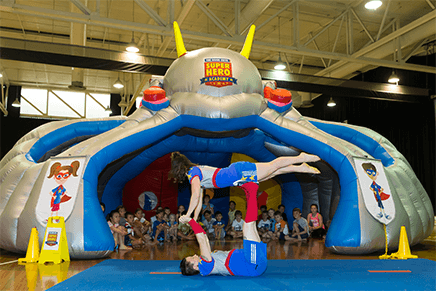 In partnership with Circus Oz, the program went on an Australia-wide tour delivering over 254 workshops, and - as Good Guys, we are very proud of the impact this program had on young children’s lives! 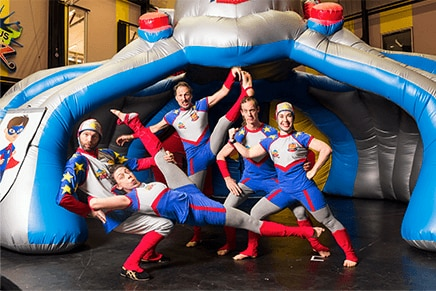 Using a bespoke Super Hero themed set of equipment and inflatable installations, The Good Guys Super Hero Academy took its ‘cadets’ on an interactive journey of discovery, trust and new experiences under the expert guidance of professional circus trainers. The Super Hero Academy was fully funded by The Good Guys, making the program free for over 8,900 children to attend. With over 22,130 kms logged on the Super Hero Academy Truck and workshops in 17 locations across our nation, the program ran its final scheduled workshop in January 2017.